Then you should try one of our Keytours Wine Tasting Tours. We will take you to the hidden wine secrets of Greece, such as Santorini and Mykonos, where your palette will be amazed by the unique flavour in some of our traditional wineries. Learn about the history of the islands through winemaking and taste some handpicked Greek labels in traditional village surroundings. Local delicacies such as feta cheese, salami and Greek olives will be served to make the experience even more special. You will visit some of the most respected wineries in production in Greece and Santorini is also home to the oldest wine company in Greece, the Boutari Winery, where you can experience the original leader of Greek wine culture, in operation since 1879. 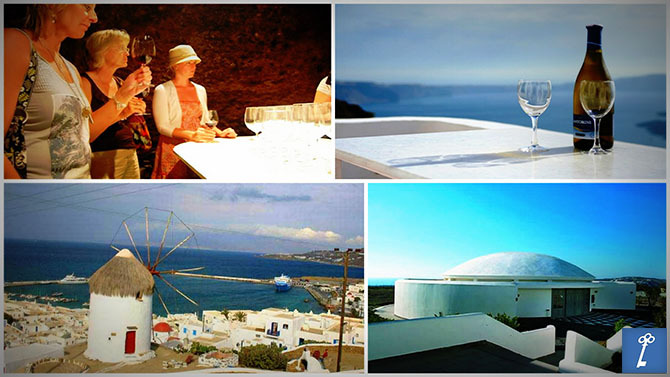 If you love wine, choose one of our Greek wine tours for a really special holiday.